The cultural highlight of a summer in Spoleto is the annual Festival dei Due Mondi, or Festival of the Two Worlds, a full-up performing-arts celebration showcasing music, dance and theater. It brings to the heart of Umbria a host of world-renowned Italian and international stage talent unleashed across indoor and outdoor settings in a venue thoroughly devoted to the art form. Inaugurated in 1958 by the composer Gian Carlo Menotti, the Spoleto Festival features established professionals, promising young apprentices and fringe offshoots. Spectators city-wide are immersed in music and stage. 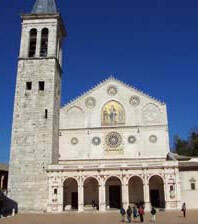 Spoleto bedecked in Festival mode is likened to the "new Italian Salzburg". The program offered has been headlined in recent years by everyone from Franco Zeffirelli to Ezra Pound. Performances span opera, classical and modern music, ballet and modern dance, visual arts and cinema. Visibly and acoustically inspired, locations include the scenic piazza known as Cathedral Square in front of the Duomo where the opening and closing concerts take place, the 17th-century Teatro Caio Melisso, a larger theater built in the 19th century, an open-air Roman amphitheater, and an assortment of churches, cinematic theaters and Cathedral Square. The city tends to fill up and tickets can be expensive and hard to come by, so it pays to do the legwork early and secure entry in advance if you plan to be enjoying a Wimco villa in the area at the time. 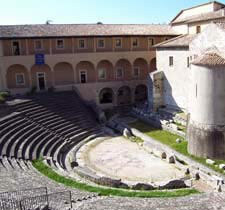 For information contact Associazione Festival dei Due Mondi, Piazza del Duomo 8, 06049 Spoleto (PG); tel (+39) 0743 45028. For ticket sales call the box office at tel (+39) 0743 220320. On the Internet visit www.spoletofestival.it.